Total Commander (former Windows Commander) is an orthodox file manager (OFM) for Windows. It designed to replace Windows Explorer, with the addition of advanced features such as built-in FTP client with FXP, HTTP proxy support, quick view panel with bitmap display, file comparison, archive file navigation, directory synchronization, a multi-rename tool with regular expression support and more. 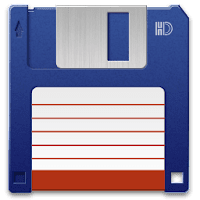 Disclaimer: Direct downloads for the lastest version of Total Commander 9.0a are provided by the official software's author, we can't guarantee safety, availability or download speed. Moreover, we don't and we won't provide any pirated/illegal versions or tools. We recommend you to avoid it as these methods can harm your device. If you like the software, buy it to support the developers. (We provide software discounts for many worldwide brands).